Throughout the Jeffco School Board recall effort, the union-backed recallers have repeatedly claimed that the Jeffco School Board broke open meetings laws. When pressed on the issue, the union never can seem to come up with any specific instance. Today, school board President Ken Witt held a press conference to call the Jefferson County Education Association’s (JCEA) bluff and launched an investigation into the allegations. Calling the allegations “baseless”, Witt told reporters at his news conference that he was “just calling [the union’s] bluff”. Friendly reminder – politics is in our “school houses” because the union and the recallers, which Hansen represents, brought it there. The Jeffco School Board did not file paperwork for a recall election. It was the union-backed recallers. 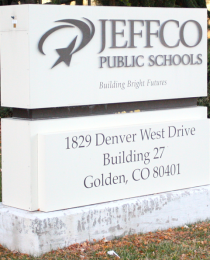 The Jeffco School Board did not pay a union firm over $100,000 to gather signatures. It was the union-backed recallers. And, Jeffco is not the only union Hansen represents – she and her firm also work in DougCo. If Hansen laments the politicization of schools and wants someone to blame, she needs to look no further than in the mirror. Most of the recallers are parents. What union is backing them? Ridiculous!